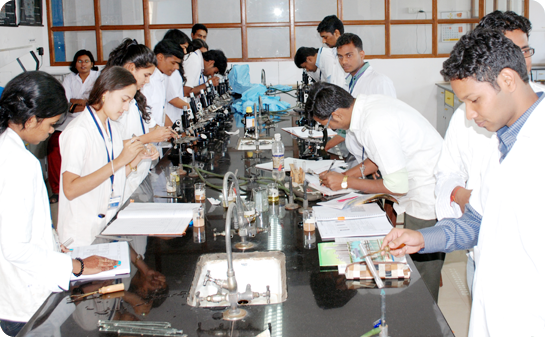 The H.K College of Pharmacy is well-equipped with some of the most defined and technically modern laboratories to provide a superior level of practical education to its students. 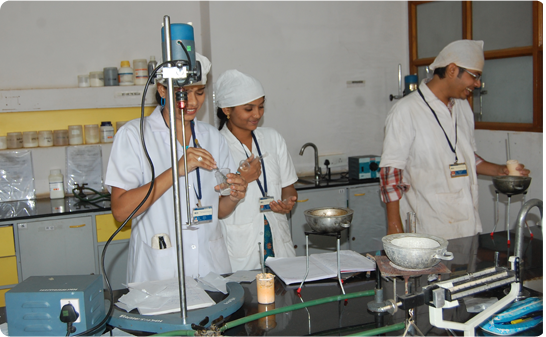 The laboratories are specifically designed with excellent facilities to meet the requirements of P.C.I and A.I.C.T.E. 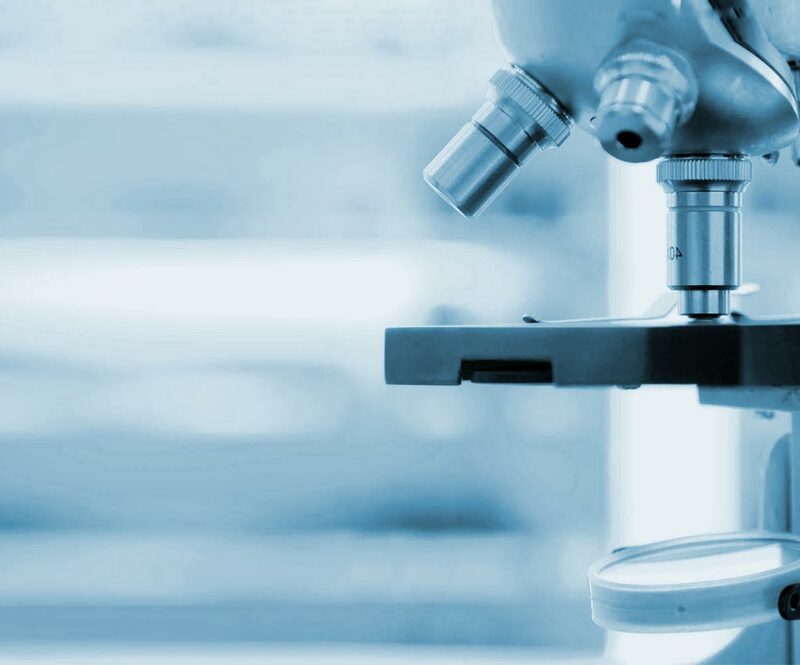 New and advanced instruments are added to the laboratories each year thus keeping them self-contained with high end chemicals, instruments, equipments and glassware. Our major labs are Pharmaceutics, Pharmaceutical chemistry, Pharmacology, Pharmacognosy, Pharmaceutical Analysis, Microbiology, Biotechnology, Biochemistry, Computer Lab, Organic Chemistry, Anatomy, Physiology and Path physiology to name a few. The Laboratory mainly deals with the development of dosage forms and its evaluation. 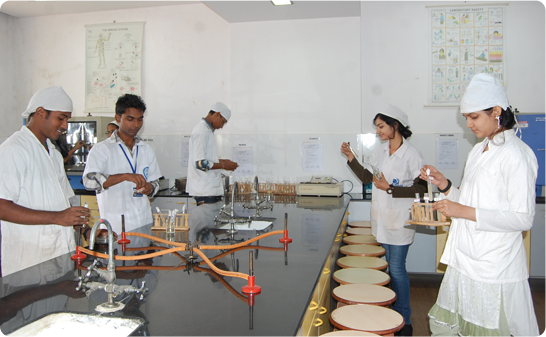 This laboratory has all basic and advanced facilities for undergraduate level experiments and post graduate level research work related to dosage form design and its basic evaluation. 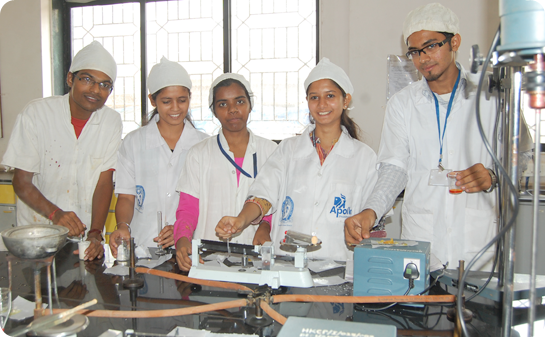 Our laboratory facilities enable students to understand all intricacies of manufacturing of any dosage form. Pharmaceutics laboratory house the basic instruments like, Roche Friabilator, multiple sampling Dissolution Testing Apparatus, liquid filling machine, ointment filling machine, Clarity Testing Apparatus etc. It has all modern instruments which are essential for research and development like Rotary evaporator, refrigerated centrifuge, lyophillizer and other sophisticated equipments are available in the lab. It mainly deals with medicinal natural products (Herbal Drug). Students learn about source, family, chemicals constituents & uses, along with microscopy, isolation and identification of phytoconstituents. 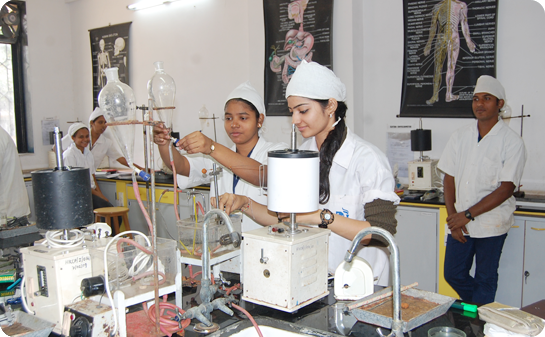 It has all basic as well as modern equipments to support the highest level of research work. The newly developed post-graduate laboratory for Pharmacognosy has very sophisticated projector microscope attached with computer, Colony Counter, Zone reader etc. In this lab, students learn about synthesis of pharmaceuticals compounds, its re-crystallisation (purification), identification and analysis. 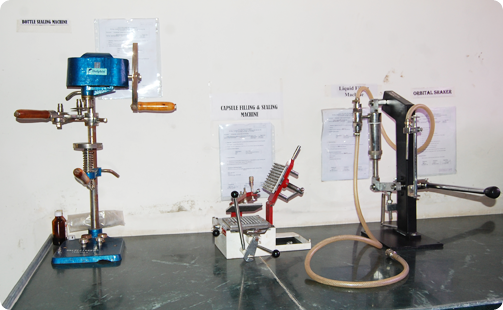 This laboratory is well equipped with fuming hood and safety measure equipments like, safety showers installed. It is supported by instruments like Double Beam, U.V. Spectrophotometer, Polarimeter, Refractometer, and Melting Point Apparatus, Karl-Fischer moisture determination apparatus etc., which are available in the central instrument room. Pharmacology involves experimental demonstration of drug effects on different tissues & organs. It is tested on animals like frogs, guinea pigs etc. Anatomical diagrams of important organs are displayed in this lab to facilitate the students to understand the importance of experimental pharmacology. This state-of-the-art lab is designed for sterile manufacturing and quality control of injectables, ophthalmic and is equipped with high quality chemicals, Laminar Air Flow, UV tubes, HEPA filters and other requirements needed for aseptic room sterility testing, microbial assay. It also has facility for biotechnological & tissue culture techniques available in these labs. The machine room gives a glimpse to the students about the actual pharmaceutical industry set up. The Machine room houses rotary tablets press, ointment filling machine, tablet coating machine, collapsible tube crimping machine, mixers, dryers and other equipments utilized in a daily course of manufacturing process. This houses sophisticated analytical instruments like HPLC, FTIR, U.V. Visable Spectophometer, Flourimeter, Polarimeter, Colorimeter, Digital Ph Meter, Digtial Balances (1mg sensitivity), Potentiometer, brooksfield Viscometer etc. The college is in a process to procure other modern instruments like Gas Chomatrography, NMR Spectrophotometer, and Mass Spectrophotometer. A modest animal houses is constructed with all facilities for animals like mice, guinea-pigs, frogs etc. for conducting experiments based on the B.Pharm. Course. The animals are maintained in conformation with C.U.P.A. and C.P.C.S.E.A. norms. We have a very well planned and maintained, medicinal garden. 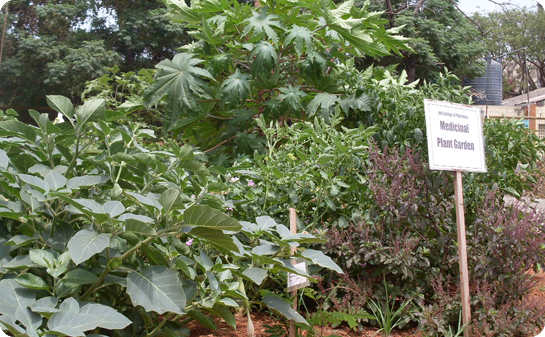 The medicinal plants procured from various herbal gardens and wild are being maintained in the college campus. Students learn about basic information regarding their sources, family, chemicals constituents, and uses. There is a collection of more than 50 plants of medicinal importance.